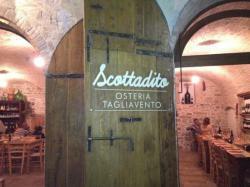 This Bio Bar and Restaurant is a perfec place for buying all bio product or for having a light and esotic lunch. 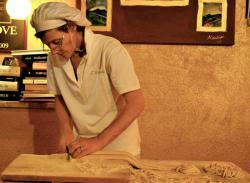 Guanluca is a very creative Chef and Mariapaola will be happy to help you in selecting the best bio production. 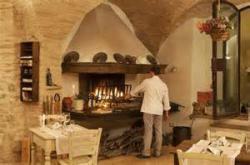 One of the Best Restaurant in Umbria Patrizia (in the picture) is The Alchimist, the Queen of the kitchen! 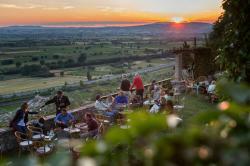 A dreamplace where you can taste the original recipes of the umbrian cuisine with an asthonishing view on the valley till Spoleto and the sunset.